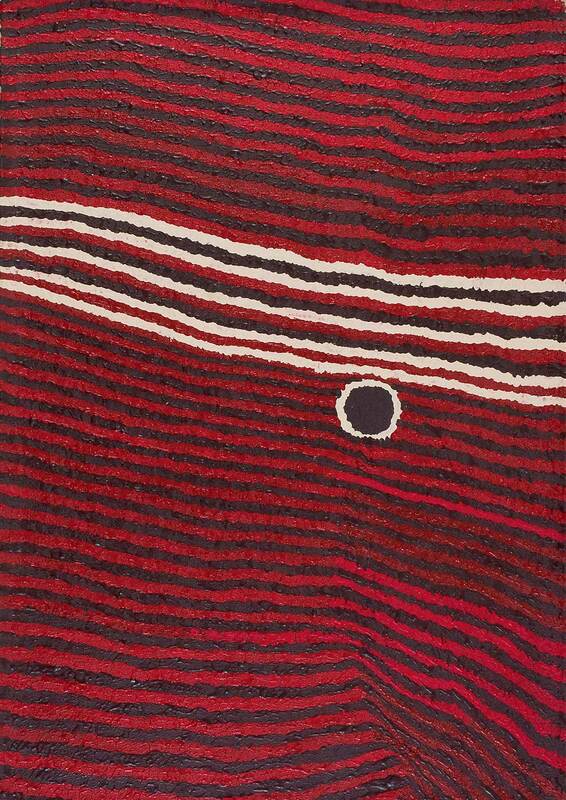 One Road: Aboriginal Art from Australia’s Deserts was a touring exhibition developed by the National Museum that explored the impact that one road — the Canning Stock Route — had on the Aboriginal people from one of the most remote areas of Australia. Previously on show in Japan in 2016–17. To tell our story to the world, we do it by painting. 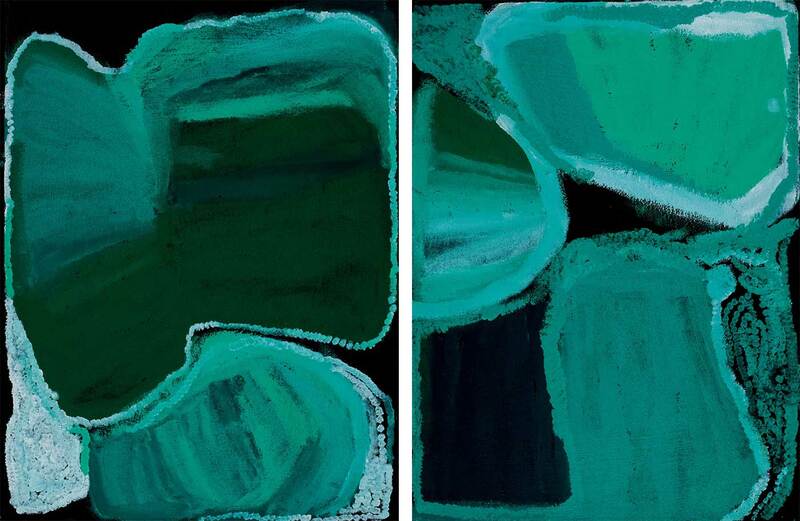 One Road featured more than 30 contemporary works from leading artists including Rover Thomas, Jan Billycan and Helicopter Tjungurrayi. The exhibition was based on Yiwarra Kuju: The Canning Stock Route, one of the most successful exhibitions staged by the National Museum of Australia in Canberra. One Road told the artists’ stories of first contact with white men, livestock and machines. It explored the change from hunter–gatherer existence to life as international artists. 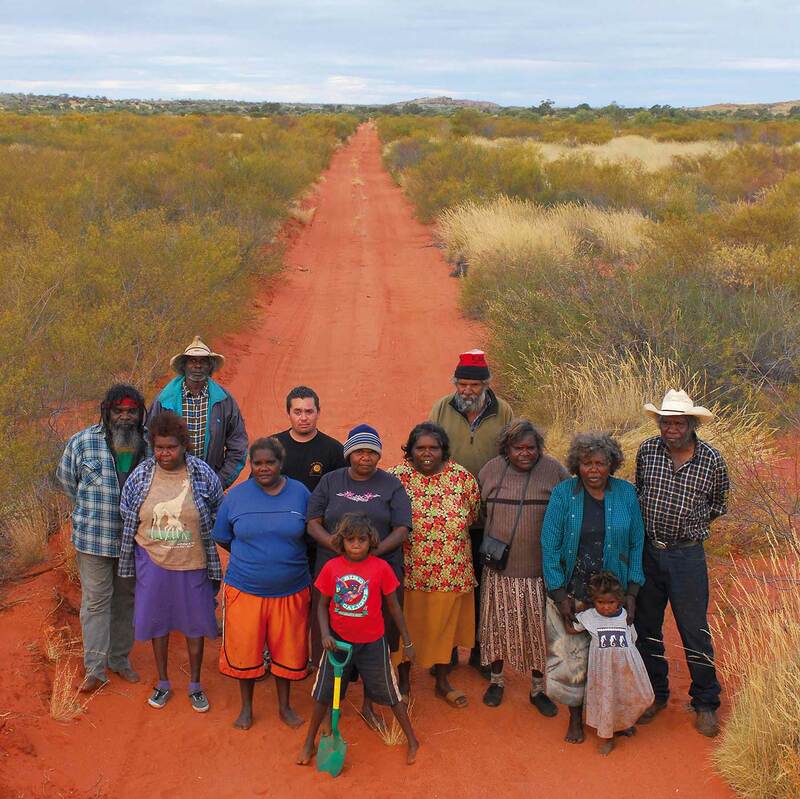 The One Road exhibition was based on Yiwarra Kuju: The Canning Stock Route. 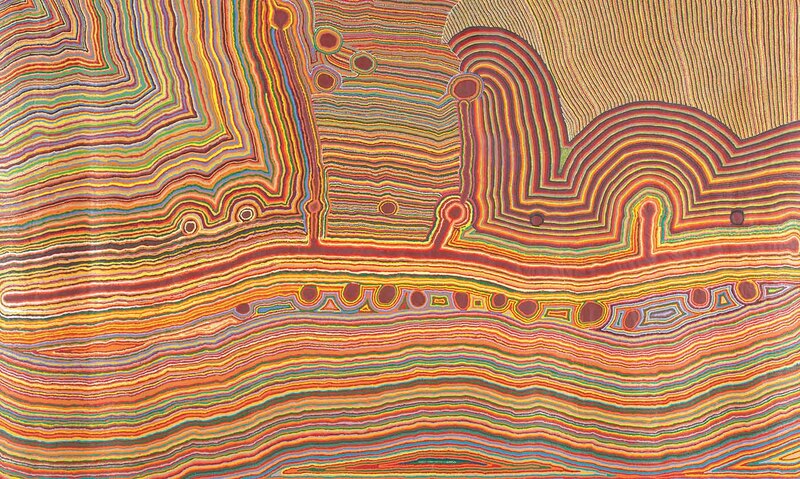 Yiwarra Kuju was developed by the National Museum of Australia and FORM and toured Australia from 2010 to 2013. 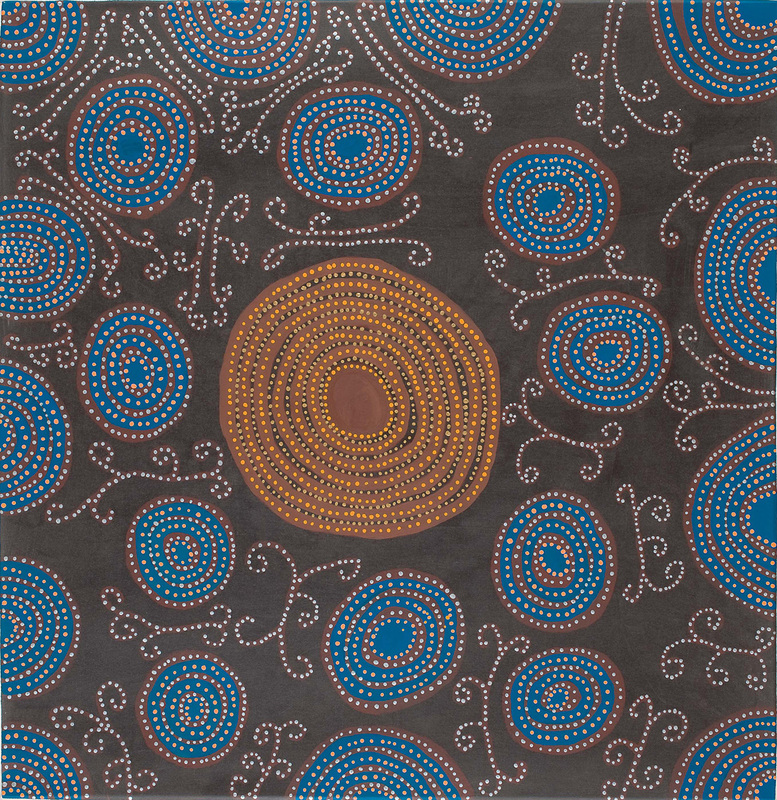 The Canning Stock Route collection includes more than 100 canvasses produced by artists who returedn to country in Western Australia in 2007, along with artworks and objects added to the collection in 2009. Popular with students of all ages wanting to learn about Aboriginal art and culture in Australia, the Yiwarra Kuju: The Canning Stock Route education kit was designed for students from years 5 to 9. The National Museum of Australia has established a strong and vibrant international travelling exhibitions program, which supplies high quality, innovative and accessible exhibitions and displays to the world. 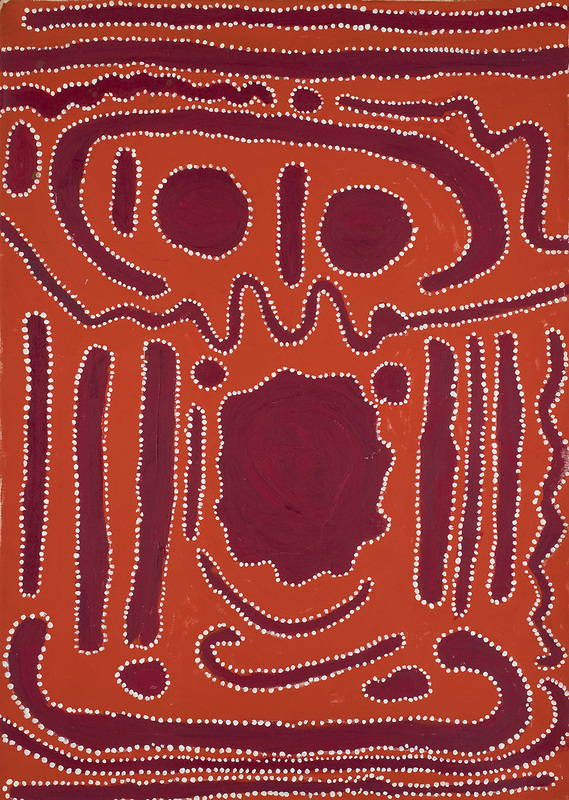 One Road: Aboriginal Art from Australia’s Deserts was a touring exhibition developed by the National Museum to bring the artistic, cultural and natural worlds of the Aboriginal people of Australia’s remote deserts to an international audience. The Museum is committed to enabling a greater understanding of Australian culture and history, particularly Indigenous culture. The One Road project was assisted by the Australian Government through the Ministry for the Arts’ Catalyst—Australian Arts and Culture Fund.